For those of you who have been following along, we’ve talked briefly before about the problem of coronary artery disease (CAD) and illustrated the problem last week with the story of Jim Fixx. And I’ve mentioned previously that CAD is the most common cause of sudden death in athletes over the age of 40. Today, we’ll talk about CAD in a little more detail. This should provide the foundation for future discussions that we’ll have about the many aspects of maintaining heart health as we age. To put the problem of CAD into some perspective, you should realize that this is the most important chronic medical condition that Americans face. 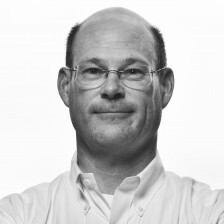 In fact, CAD affects more than 13 million Americans today. It’s the leading cause of death in the United States, with nearly 1 person dying every minute from this condition. The heart, as you know, is simply a muscle….but one that is in constant motion, usually beating 60-100 beats each minute, or upwards of ~140,000 times each day. And like other muscles of the body, it requires a generous blood supply to furnish the needed oxygen to keep things going. As the aorta leaves the heart, to take blood flow to the rest of the body, the first 2 branches are the left and right coronary arteries….the arteries that supply blood flow to the heart muscle itself. The left coronary artery branches into the left anterior descending and the circumflex coronary arteries. We often say, then, that there are 3–not 2–important coronary arteries. We use the term CAD to refer to the progressive (over many years time) narrowing of the coronary arteries, the arteries that supply the heart muscle with its blood supply. This process, called atherosclerosis, usually starts with fatty streaks on the inside surface of the coronary arteries, but over years’ time progresses to larger, more space-occupying deposits of various lipids. The situation is not much unlike a typical plumbing problem, where a pipe might become clogged with unwanted material, thereby limiting blood flow. What problems does CAD cause? Individuals with CAD often experience no problems until the narrowing in the coronary arteries becomes severe. When the arteries become narrowed to less than 25-50% of their original diameter, the reduction in blood flow to the heart muscle can produce symptoms. At first, the symptom might be chest pain or discomfort (that we call “angina”) or perhaps unusually severe shortness of breath with exertion. Any of these symptoms should be a warning sign….and prompt you to be evaluated by your physician. The plaques on the inside of the coronary arteries can sometimes rupture, leaving a raw surface exposed to the bloodstream, and lead to the formation of a blood clot at that site. This can produce chest pain at rest (unstable angina) or even acute myocardial infarction (MI), the situation where there is irreversible damage to the heart muscle. Who gets CAD? What are the risk factors? Much time and effort has been devoted to understanding who gets CAD. As you can imagine, this is the starting point for figuring out how to prevent CAD. We’ve learned that there are a handful of so-called risk factors, indicators of how likely it is that an individual will develop CAD. Some of these risk factors can’t be changed, but others can be modified to help reduce somebody’s risk. There are some risk factors that you simply can’t change. One such risk factor is age. Men over the age of 45 and women over the age of 55 are more likely than their younger counterparts to have CAD. Unfortunately for men, men are just more likely than women to have CAD. And lastly, a family history of CAD in close relatives is a risk factor. As you can see, each of these risk factors is beyond your control. 6. Physical inactivity (although I’ll bet that most readers here are active!). We’ll cover these risk factors in greater detail in upcoming posts. Most patients with CAD come to medical attention because of symptoms such as angina or shortness of breath. Many others come to attention because of acute MI. And, sadly, some come to attention because of sudden death….and an autopsy shows CAD. A stress test (which can be done in a variety of ways) or a cardiac CT scan can indicate the likelihood of CAD. The diagnosis is established, though, with coronary arteriography….a test in which dye is injected into the coronary arteries and motion picture x-rays are made. This creates a roadmap of the coronary arteries and shows any blockages. 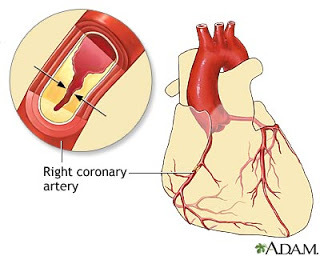 If blockages in the coronary arteries are not severe, patients can be treated with medicines. Patients with severe blockages can be treated with angioplasty and stenting (to push the blockages aside) or with coronary artery bypass surgery. That’s CAD in a nutshell. Like I said, I hope that this information provides the necessary foundation for us to have more detailed discussions about various topics down the road.